The SU is run by students, for students. Council is a group of students from across different groups and departments who oversee what the SU does. Councillors lead the SU and make important decisions about the way we are run - elections for SU Council are held at the beginning of the academic year, look our for details around then! And approved a proposal on what the SU Officer team's salary should be for 2019/2020. You can view proposals for new policy and proposals for Constitution and Bye-Law changes here. You can view all existing policies here. Proposals for new policies or constitutional changes must be available for all students to view and consider for 10 days before going to Students' Union Council. This allows students the opportunity to ask questions on or propose amendments to the policies, before they are discussed at Council. To propose an amendment to a proposal or an alternative or related proposal this must be submitted in writing to the Student's Union President via sucouncil@sheffield.ac.uk. Amendments or alternative proposals to Policies must be no more than 200 words and can be submitted either by an SU Councillor or by a student who is not a Councillor, with the support of 10 other students. 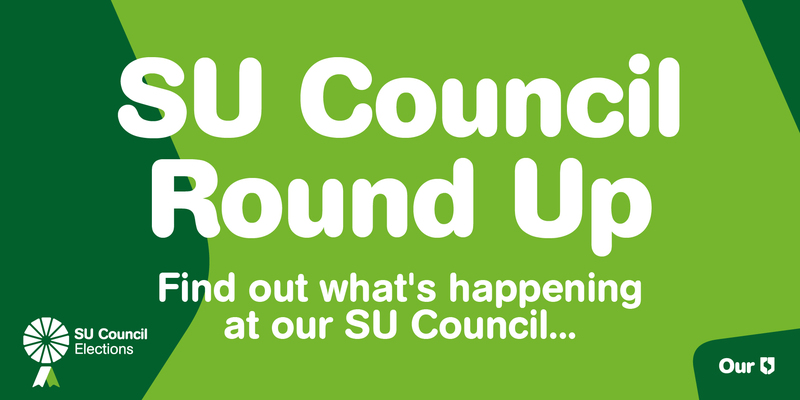 You can find a full list of the 2018/19 SU Council meeting dates this year here. You can read the papers from previous Council meetings here. You will also find the minutes taken at the previous Council meeting in each paper pack. Thank you for voting. Your new SU Council has now been elected! Find out who'll be steering the SU ship. Watch the video above to find out how your SU is run and how you can get involved!